FootJoy Women's Leisure Golf Shoes Spikeless Ladies New - Choose Color & Size! FootJoy enJoy Women's Golf Shoes 95703 Grey Mist Ladies New - Choose Size! 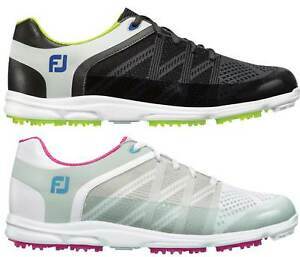 Details about FootJoy Sport SL Women's Golf Shoes Ladies New - Choose Color & Size! FootJoy Sport SL Women's Golf Shoes Ladies New - Choose Color & Size! JAMIE SADOCK Black Bermuda Cargo Zippered Golf Shorts - Size 12 EUC! Adidas Golf Women's Essentials 3-Stripes Skort - Pick Size & Color!